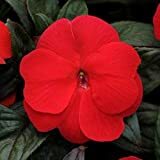 (AIMNG)~DIVINE RED-WHITE MIX NEW GUINEA IMPATIENS-Seeds!~A Brilliant Blend! 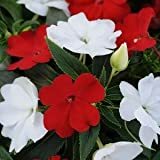 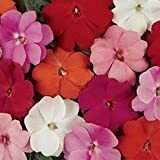 New guinea impatiens for sale – Easy plant to grow, mostly grown for the ornamental flowers also for the leaves, planting in spring, better to buy plant or cutting. 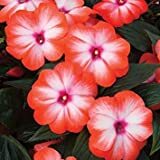 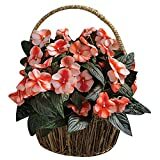 Growing information: perennial or cold annual plant, growing hardiness zone: 10+ (as perennial) 4-9 (as annual), but also grown as house plant, water needed – small average big amount, light conditions – full sun to full shade, height: 20-60 cm, 0.8-2 feet.